Shopping at Costco on a Budget. Every now and then you come across a store that you love so much that you write an entire blog about it. Ladies and Gentlemen, that store is Costco! Well not really everything, but it can have a positive effect on your budget management. And as you all know by now, cash flow and budgeting are vital to your financial success. No, I am not paid by Costco to blog this. Although if I was, I would be pretty pumped! I am such a Costco nerd that I actually keep a Costco excel spreadsheet to track price changes and to know what products cost once we add them to our shopping list. 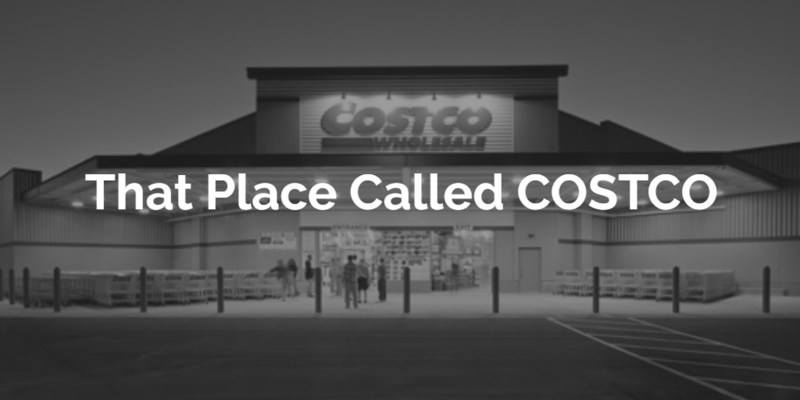 As noted in our previous blog, our current Costco budget stands at $200 per month. Wow, another great question. Here is your list. Thank me later. This is not the official return policy, but I think it is safe to say you can return anything at any time. The best part is that there are never any questions asked. This is why I love buying big-ticket items at Costco (furniture, TVs, computers, and other electronics). Personal story: Mari and I bought a couch from Costco with some of our wedding money when we moved to Philly. A few weeks later I saw the same couch on sale for $500 less. I called Costco and told them we just purchased it and that it went on sale a few weeks later. A Costco employee told me to hold for a minute, she gets back on the phone and says, “Mr. Chubb, we just put $500 back on your American Express card.” Wait, what! I love you, bye. Need a cheap lunch, Costco food court! Listen, it’s not Whole Foods, but if you want a hot dog and a soda for $1.50 or a $10 large pizza, Costco food court is your place! I believe the chicken caesar salad is $3.99 and it can feed TWO people. You probably don’t need the Executive membership if you are only going to Costco 2-3 times per year or only buying small items. However, if you go often and/or buy big-ticket items, the Executive membership may be a good option for you. With the Executive membership, you get 2% back on purchases, up to $750 for the year. The Executive membership costs $110 compared to $55, but you will almost always cover that difference in cost. Personal story: We are currently anxiously awaiting our annual check! The final check amount should come in around $175 minus $110 for renewal for the next year. That gives us an extra $65 in spending and a free year of membership (I guess that is considered free, right?). Lowest prices on tons of necessities! This is the reason why most people love Costco. You just can’t beat their prices! $6.99 for two dozen organic eggs, $7.49 for three large coffee creamers, $4.99 for a rotisserie chicken and the list can go on FOREVER! It also helps that the Kirkland brand (Costco’s brand) produces delicious food and high-quality products. I used to only buy the “designer” brands of everything until I tried Kirkland. Now, Kirkland is all we use. How about a vacation? How about a new car? How about a new TV? You can literally buy almost anything from Costco. Heck, you can even buy engagement rings. And once again, the prices are always great and the return policy is 2nd to none! Personal story: No, I didn’t buy Mari’s engagement ring there but I did check them out. I did use Costco to help me with our recent car purchase. Costco will give you a price sheet that will quote the “Costco” price, you take it to the dealership and they have to honor it. If not, you report them to Costco and then they are removed from the authorized Costco sellers. I shopped at Costco when I lived by myself, and Mari and I currently shop there for just us, so the argument of “you need to have a family of 10 for it to make sense” does not hold true. I agree that some items are tough to buy in bulk, like produce. Mari likes to buy a year supply of kale each time we go to Costco. I don’t like kale, so Mari has to fend for herself on the kale. She can usually get the job done, but there have been some months where it was fed to the garbage can. With proper planning and proper storage, you can buy in bulk with no troubles. There you have it, a few of the reasons why we love Costco. The entire point of this blog is the possible money savings for your budget! We go to Costco once per month and for $200 we have 75% of our food covered for that month. We still have the usual grocery store trips for odds and ends, but it is never more than $20/$30 per week. While I bragged about Costco, you can take advantage of other “bulk” stores as well. Sam’s Club and BJ’s are two other alternatives if you don’t have a Costco nearby. DON’T drive 3 hours out of your way to go to a Costco to save money; heck by the time you pay for gas, you no longer saved anything. Beat the system: Have a current Costco member buy you a gift card (Costco Cash Card). The Costco Cash Card can get you in the door and allow you to actually buy as well. Rumor has it that if your Costco Cash Card doesn’t cover the entire purchase, you can use another form of payment. Make sure you have cash, a debit card or American Express card to cover the difference. On June 20, VISA kicks out American Express. Thanks for reading! We are now headed to Costco (seriously).